Aaron Jackson and his purchase and evolution of the Equality House; a rainbow colored house across from the Westboro Baptist Church. TOPEKA, KANSAS – The infamous Westboro Baptist Church has a new colorful neighbor. The church that has been in the spotlight for bashing homosexuals and protesting at military funerals probably isn’t too happy with the man that purchased a fixer-upper right across the street from their headquarters. Aaron Jackson, 31, bought the house in an effort to make it an equal rights house as part of his Planting Peace non-profit organization. He began this venture by painting the building the colors of the rainbow in order to signify his pro lesbian, gay, bisexual, transsexual community affiliation. The house, dubbed “Equality House” is to become a symbol for Jackson and his organization’s stance on equal rights. The painting of the house had been announced on March 19th even though the house had been purchased for roughly six months. Jackson has stated the timing was right due to all of the talks of marriage equality in regards to the big leap from home to Equality House. There has been an overwhelming warm response to his movement; even praise from the city of Topeka itself in the form of a postcard sent to his address. 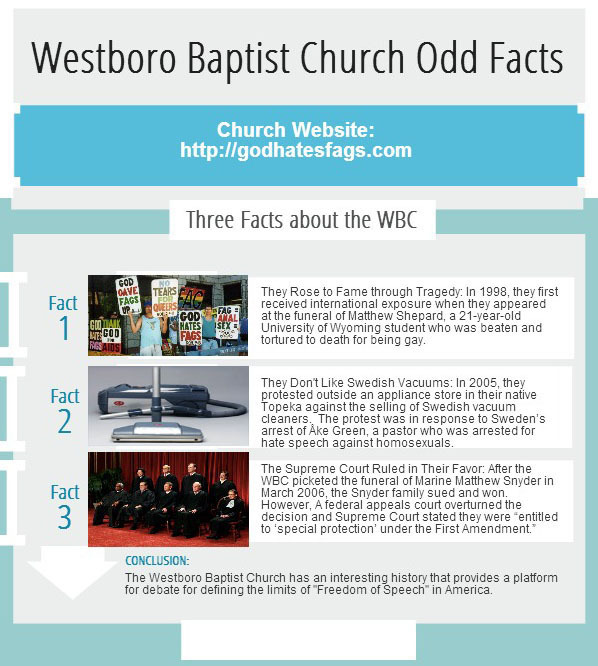 As far as the response from Westboro Baptist Church, Jackson said in a video interview with the Huffington post, that he would rather not discuss it due to the vulgarity of it. Now whether or not this act will provoke the church or solve any problems regarding LGBT rights is uncertain, but it is a step in the right direction. Jackson has stated in an online video on The Huffington Post that he would like the house to become a volunteer house. This headquarters would facilitate his organizations members as they further their anti-bullying programs. The ultimate goal of the Equality House is to become a center for Jackson and his other Planting Peace members to develop more programs that raise awareness for equal rights, peace, and funding for anti-bullying programs in schools. It’s a great symbol to have the pride flag colors painted on the house across from the Westboro Baptist Church because they themselves have become the epitome of everything equal rights movements stand up against. What’s next for this symbol of equality is a mystery, but according to an article with The Washington Times, Jackson plans on putting a gay pride flag atop a 30-foot flag pole on the property.